Literally, Panch Pokhari means a collection of five sacred ponds. Panch Pokhari lies northeast of Kathmandu and is located to the west of Rolwaling Himal. Placed at the height of 4462m, Panch Pokhari is recognized as pilgrimage set for Hindus and it includes five divine ponds. Large number of pilgrims visits Panch Pokhari especially on every Janai Purnima from nearby villages and also, number of Shamans or religious practitioner in an unusual outfit visit there. Along with cultural significance, the region bestows extreme exquisiteness and natural assortment. Boundless Himalaya Trekking and Expeditions will take you to Panch Pokhari Trek and gives a chance to observe the blend of stunning mountain range and perfect natural surrounding with diverse customs making this trek one of the ideal destinations. Panch Pokhari trek is the lately introduced trekking destination in Nepal which rewards you with stunning views of Langtang Range, Rolwaling Himal, Jugal Himal, and further snow-capped peaks. You start trekking after reaching Chautara by bus taking five hours. 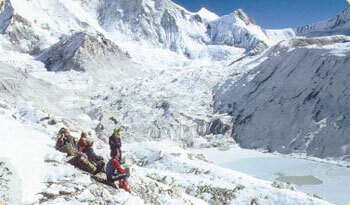 Pre-historic and places, caves and surprisingly attractive lakes are the other major attractions of Panch Pokhari Trek. On the way to Panch Pokhari trek, there is very significant ancient place-Dukhang (Haveli) where supposed regal Kaji rulers lived for 172 years ago. The antique art of the structure and infrastructure provide evidence about the rulers. It is believed that the Kaji family was connected with Rana leaders to restrict the local people of this region. You come across attractive peak vista, terraced fields and explore rural settlements inhabited by different tribal groups. Also, you will be spending overnight in the homes of Tamang and Sherpa people you will be experiencing their welcoming nature as well as their way of life. Feel free to take help from Boundless Himalaya Trekking and Expeditions for arranging your Panch Pokhari Trek and make it a memorable experience. Day 02 : Sightseeing in the Kathmandu Valley / includes visits to many historical and architectural monuments of the ancient Kathmandu. overnight at hotel. Day 17 : Free day in Kathmandu / relaxation / shopping etc. overnight hotel.